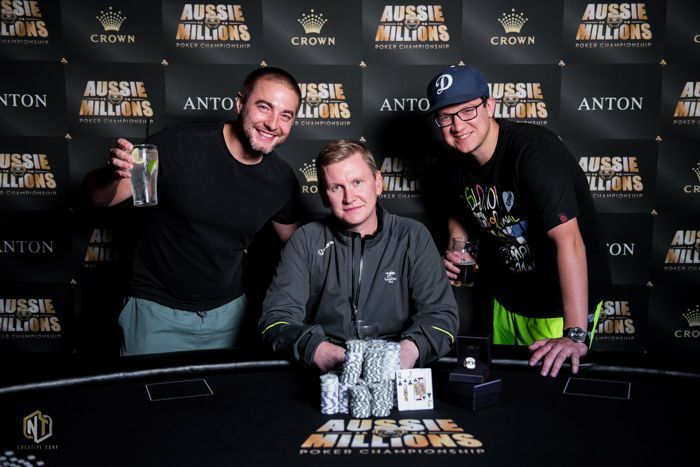 The 2018 Aussie Millions has crowned yet another champion at the Crown Casino in Melbourne, the largest casino complex in the Southern Hemisphere and one of the largest in the world. 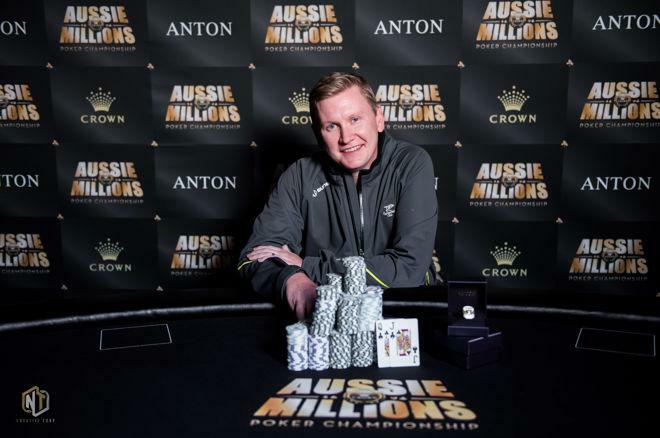 It was Ben Lamb that claimed the ANTON Jewellery championship ring and A$647,114 (~$524,764) in the $25,000 Challenge. Lamb cut a deal with Jan-Eric Schwippert that saw the duo take home the lion's portion of the A$2,736,000 prize pool before flipping blind for the victory. Two-time World Series of Poker Main Event finalist Lamb, with more than $8.3 million in cashes, and Schwippert, one of many young Germans that made a name for themselves in the High Roller scene in the last few years with $4.2 million in tournament cashes, both dominated throughout the day. It came as no surprise that they'd be the last two standing. It was Lamb that won the flip and sat down for the winner pictures at half past midnight local time. "Every time you win, it’s fun, but six-handed tournaments are something that I really enjoy." For 2018, there was a change of plans, and that turned out to be a wise decision. “This year I decided to only go for a week. All my friends were coming to the Aussie Millions. I’ve had a blast,” Lamb said with his friends Chance Kornuth and Sam Panzica among his friends on the rail for the final table. Kitty Kuo, who led the final 19 hopefuls into the second and final day, narrowly fell short in her bid to win her first major title after first-place finishes in smaller events in Macau, Manila and Las Vegas. The number 4 on Taiwan's all-time money list still recorded a career-best payday of A$246,240 (~$199,454) for her 4th place finish. The money bubble was looming when the action got back underway with 19 left and the top 14 spots being paid. Jordan Westmorland was the first casualty. After losing a big portion of his stack with flush-under-flush, his ace-king failed to hold up against the jack-eight suited of Rory Young as the Aussie hit running cards for a straight. Marius Gierse and Danny Tang followed him to the rail. Two of the remaining three Aussies in the field were ousted without anything to show for. Jonathan Karamalikis fell short of the money by two spots and Michael Addamo's hero-call with queen-jack suited for second pair was no good, as the very aggressive Ben Lamb had flopped top pair with ace-king. Once the bubble had burst, the initial eliminations in the money came at a quick pace and Stefan Huber, Yury Zinkevich and Kazuhiko Yotsushika all ran out of chips a few minutes apart from each other. Claas Segebrecht failed to get there against Jack Salter and the two three-time World Series of Poker bracelet winners Michael Gathy and Brian Yoon had to settle for 10th and 9th place respectively. Rory Young was the last of the local heroes to try and keep the title on home soil, but his pocket kings were cracked by Jan-Eric Schwippert's ace-queen to set up the unofficial final table with Schwippert and Lamb dominating at the top of the counts. Mustapha Kanit missed out on the final table group shot after his flush draw with jack-four suited didn't get there to crack the slow-played pocket aces of Wayne Yap. Before the dinner break, Roger Teska got his remaining chips in with king-nine suited and top pair on a nine-high flop only for Jan-Eric Schwippert to snap-call with pocket tens. Jack Salter, 3rd on England's all-time money list, won a ring at the Aussie Millions in 2014 in a A$5,000 No Limit Hold'em Six-Max Event and recorded another three runner-up finishes in tournaments here at the Crown Casino. This time, Salter had to settle for 5th place when his queen-jack ultimately got rivered by Ben Lamb's ace-ten after the latter improved to a flush. For Kitty Kuo, who led the field as chip leader into Day 2, it was yet another deep run that came to an end in 4th place. Jan-Eric Schwippert shoved with queen-five and Kuo called off her short stack with ace-nine only to see a five appear on the flop and river, giving Schwippert trips. After having doubled his short stack several times on the final table, Wayne Yap eventually picked the wrong time to four-bet shove with king-queen. Ben Lamb almost beat him into the pot with pocket kings and Yap was left drawing dead on the turn of a ten-high board. Lamb and Schwippert checked possible deal numbers right after, shook hands, and flipped blind for the ANTON Jewellery championship ring with the better end for Lamb. 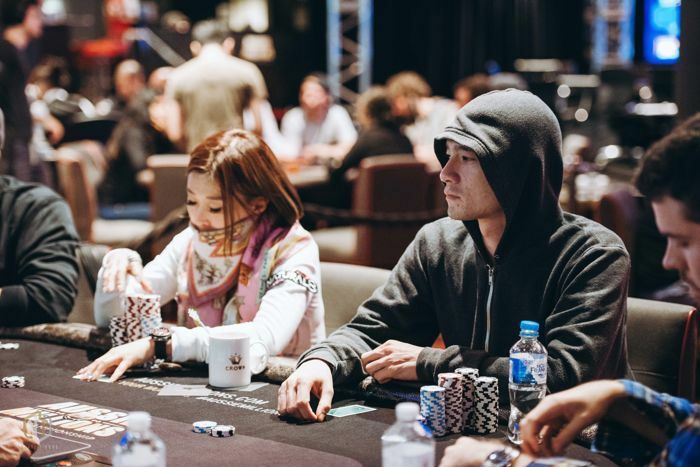 The action in Melbourne is heating up and Day 1a of the A$10,600 Main Event gets underway at 12.30 p.m. local time, while the next highlight follows right after. 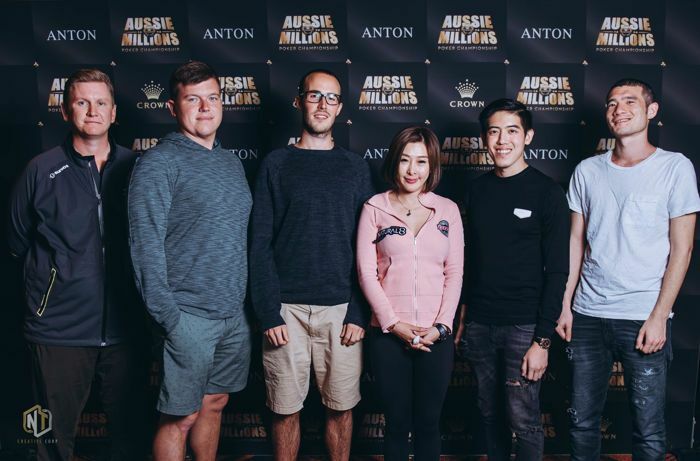 As of 1.10 p.m. local time on Sunday January 28th 2018, the ANTON Jewellery $50,000 Challenge will attract some of the biggest names in poker and the PokerNews live reporting team will be on the floor to provide exclusive updates. The Aussie Millions in full swing. Head over to the PokerNews Live Reporting section and check out all the reports, as well as live updates from all the big buy-in events.